In keeping with the "Has she been living under a rock?" theme of this evening, I present to you Smitten Kitchen, an incredible site for foodies written by a girl named Deb who lives in a tiny apartment in a former tenement building in Lower Manhattan. Not only is she an amazing cook, but she is equally talented at photography. I can't wait to try some of her delicious recipes. 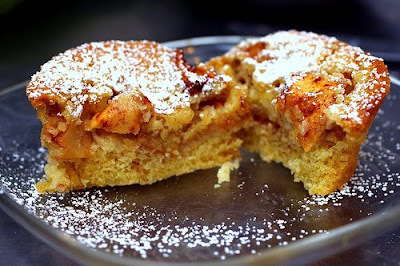 I think I'll begin by making the apple cake pictured above to take to a dinner party this weekend. 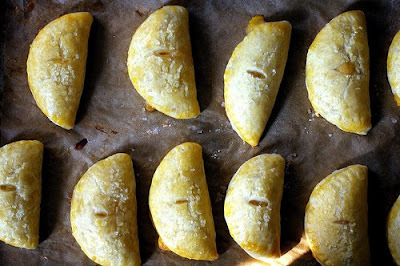 Bourbon Peach Hand Pies: These remind me of Mexican empanadas, which are always sweet, unlike Argentine empanadas which are savory. such a great blog, and I've tried a couple of her recipes and have not been disappointed yet! Oh yum - can't wait to try out some of her recipes! Always love to find a new food blog, thanks for posting! I have to say, I'm not into baked goods, but these are so lovely in your images! 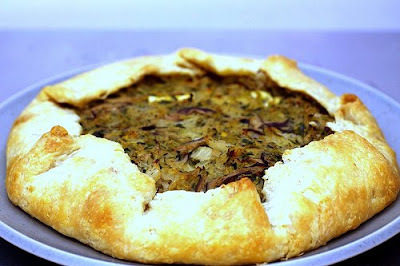 For some reason it makes me think of my mom's cooking... quiche and baklava come to mind! I think I gained a couple pounds just looking at this post. YUM!! !